Off the book topic... Do you use a mouse pad? If so, what is on it? I don't use a mousepad though I have seen some cute bookish ones that do appeal to me. 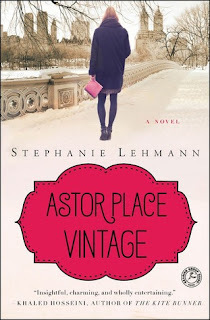 This week I'm taking a break from my usual cozies and reading Astor Place Vintage by Stephanie Lehman which is a dual timeline - one taking place in modern day and the other in 1907. So far I'm enjoying it though I haven't gotten very far. My appointment was in an apartment building called Stewart House - a white brick high-rise on Tenth Street, near Broadway, built in the sixties. Not the most exciting though I do like the level of descriptiveness. Olive may never have ventured down to my territory. Back then, middle-class women avoided going south of Eight Street. I like that the character in present day is putting the character from 1908 into context. I like the comparison of then and now. I read this book and have to admit that I loved it. I am a sucker for this time period though. The book looks good and I do have a mousepad - it's the every popular Dell one that came with old desktop computer. Ha! I'd keep reading. Dual story lines are fun for me. I don't use a mouse pad anymore but we had one with our wedding picture. I love a dual timeline book - keep reading! The beginning is matter-of-fact sounding, but I like it. Ironically, my cat destroyed my mousepad and I haven't replaced it. This does sound like a good story. I've read and enjoyed a few lately with dual timelines. I do my computing on a laptop which doesn't have a mouse. Thus no need for a mousepad. I'm spotlighting Lake Silence by Anne Bishop - her latest set in the world of The Others. Happy reading! I love the sound of the setting...and can almost see it. I also enjoy dual time lines. Thanks for sharing...and for visiting my blog. I used to have cute mouse pads...now mine has an elevated section to help with carpal tunnel syndrome. I definitely also want a cute bookish one! Maybe one day when I have a desktop :) happy reading and have a good weekend! I don't know if I would get a bookish mouse pad if I decide to get one. Unless comic books count as a bookish thing? If so, I would totally get a Sailor Moon mouse pad! Usually, I like stories that have dual timelines, and this one looks interesting. Enjoy your current read! This book is on my TBR list. I hope you enjoy it. Looks interesting, and the 56 does make me curious. I don't use a mouse pad either. Hope you'll continue to enjoy your new read. Dual timelines can be really interesting. Hope you enjoy and have a happy weekend! Oooooo...I never saw a bookish one. Sounds fun. Yes, keep reading. I LOVE time slip novels. I use an envelope below my mouse. Does it considered as a mouse pad? Dual time line is an interesting concept! I like stories with dual timelines, especially if they end up weaving together in a clever way. The opening lies don't really grab me though, so I'd be interested to know how this one turns out. I haven't seen any bookish mouse mats, I'll have to have a look. I have a Twilight mouse pad. I haven't heard of this book but hope you enjoy it! There are some cute mousepads out there but nope here, too. A bookish mousepad would be awesome! I have a kitten sleeping on a tree branch on my my mouse pad. :-) I haven't mastered my touch pad and prefer to use my mouse. It's a bit of a hassle as I'm always dropping my mouse. And I really should just learn to use the touch pad . . . Astor Place Vintage sounds good. I hope you continue to enjoy it! I don't use mousepads. I love the look Astor Place Vintage. I haven't read hardly any books with dual timelines. It sounds interesting! Me too I seen quite a lot of cute mousepad that I really want, but I don't buy it because I am really scare I will lose the mousepad as well. 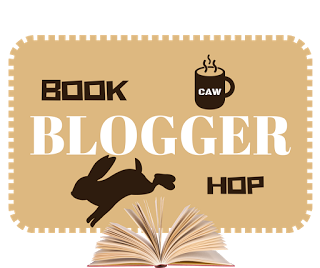 Thank you so much for stopping by my blog hop last week.